No matter what the reason—nostalgia, savings or because you want to eat local year-round—preserving food has made a major comeback. But before you dust off those pickle and jelly recipes, here are a few basic guidelines to put into practice. Ladies and gents, to your jars! Canning stops the natural spoilage of produce to preserve its flavour and keep it safe. Sounds complicated and perhaps slightly dicey, right? Not at all, as long as you’re equipped with the right technique and the proper gear. A separate canning rack such as this one allows you to turn any large, deep pot into a canner. It keeps the jars upright and prevents them from rattling on the bottom of the pot. 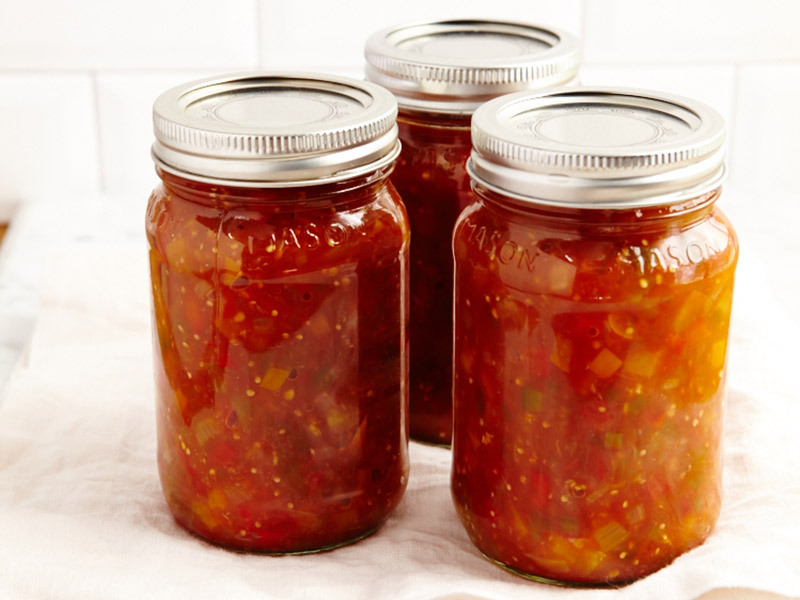 It’s important to only use jars made specifically for canning, which are available in a number of sizes (typically 125 ml, 250 ml, 500 ml and 1 litre). And as long as they aren’t cracked or chipped, they are reusable. The flat, disc-like lid (as ­opposed to the metal ring) is what creates a perfect ­vacuum seal. During the heat treatment, the red sealing compound softens and adheres to the rim of the jar, leaving an imprint. This is why canning lids are good for only a single heat-processing and are not reusable. Think of these as a vise-grip, used to help hold the lid in place during the heat-­processing. Once the jar has cooled, the ring (also called a screw band) can be removed and, if desired, reused. 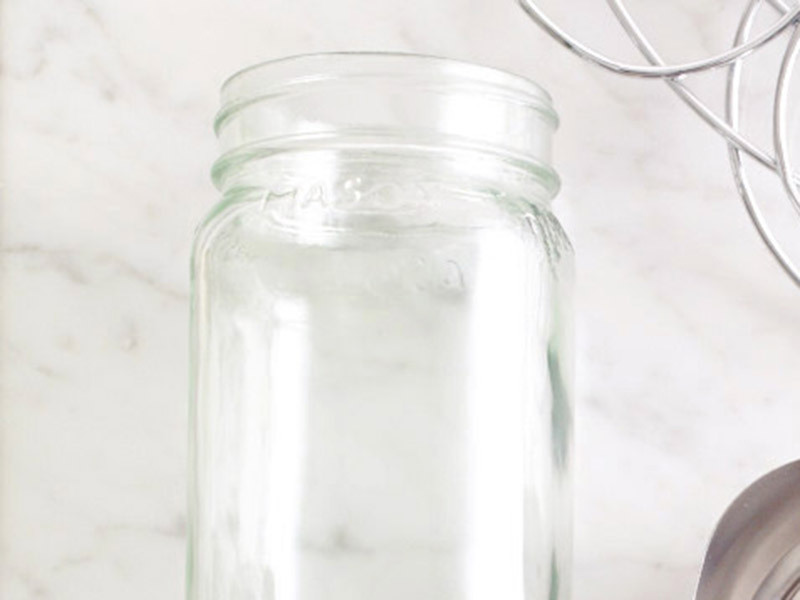 To make sure your recipe makes it cleanly into the jar (and off the counter!) during the filling process, choose a funnel with a wide opening that fits snugly into the mouth of the jar. You’ll love this gadget. It is used to lift the flat metal lids out of the hot water. Sure beats trying to pick them up with your tongs. 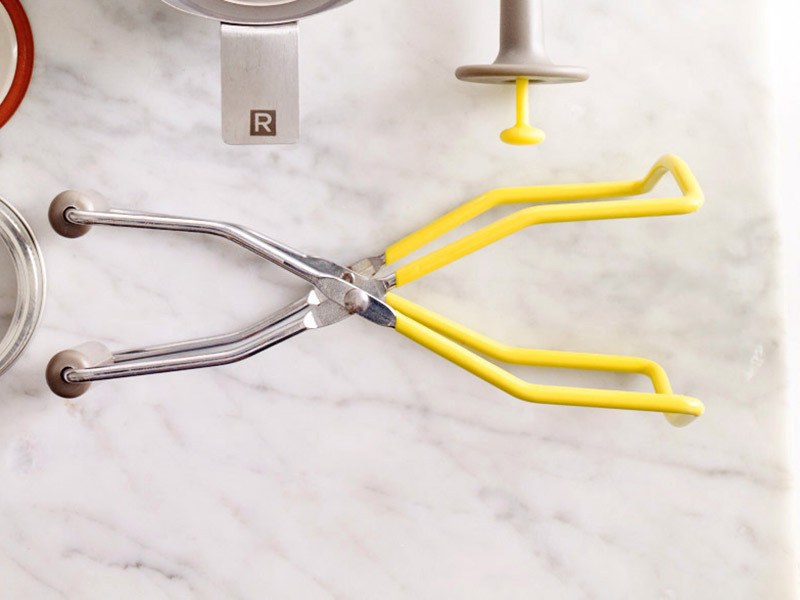 To safely remove jars from a pot of boiling water or pressure canner, this tong-like tool is a lifesaver. Your fingers will thank you! How long your produce needs to be heat-processed to destroy dangerous micro-organisms depends on two things: the nature of the recipe (acidity level, density, etc.) and the size of the jar. Sterilization, whether in a pressure canner or in a boiling-water bath, typically takes between 10 minutes and over an hour. Calculating the proper processing time is critical and requires expertise in food chemistry. 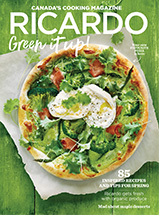 We like reliable recipe guides like those by Bernardin (the makers of the Mason jar). Canning pots are high and wide enough to hold several jars at a time and come equipped with a canning rack. They are what you need for naturally acidic foods like tomatoes, or recipes containing vinegar, lemon juice or lime juice, like salsa, pickles or some fruit preserves. They will run you between $35 and $180, approximately, and are a good investment if you plan on canning often. They come in various sizes, from 11 ½ quarts to 23 quarts and counting. 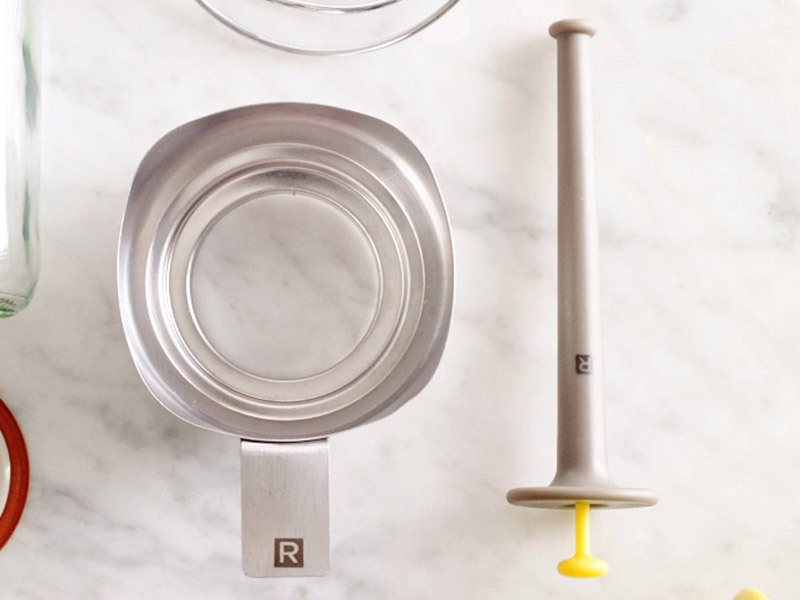 This tool is specially designed to safely can low-acid foods—anything from vegetables, meat and stew to spaghetti sauce and broth. The pressure raises the boiling point of water to 240°F (116°C), which is critical: This temperature destroys spores that cause botulism. Pressure canners are about $130 to $250, but aren’t to be confused with pressure cookers—some pressure cookers can be used for both cooking and canning, but that’s not always the case. The basic procedure is the same whether you’re canning meat or jam. The only thing that changes is the heat-processing method used once the jars are filled and closed: High-acid foods are canned in boiling water while low-acid foods get the pressure-canner treatment. Either way, this all-important final heat-processing step ensures that your canned food is safe. 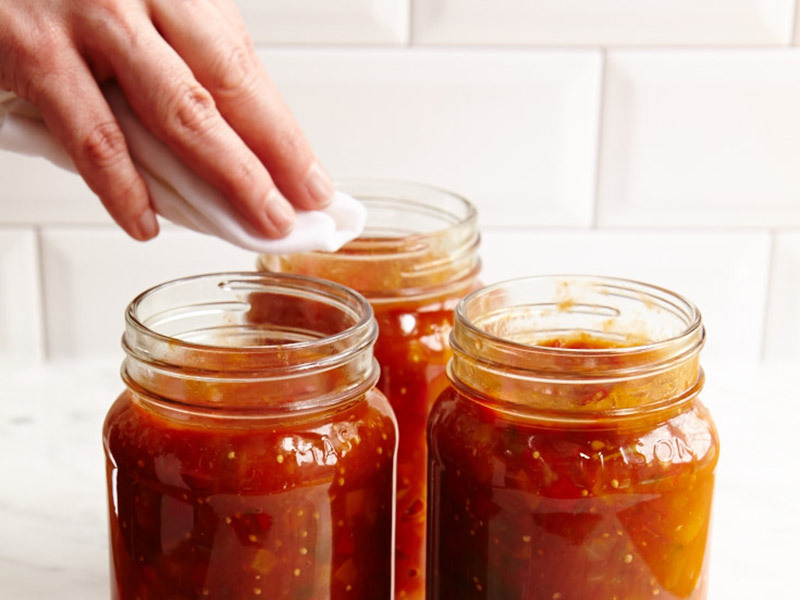 › Start with clean, hot jars. There’s no point in sterilizing them prior to filling as the final heat-processing step after they’ve been filled and sealed sterilizes both the food and the jar at the same time. Jars can also be washed and kept warm in the dishwasher until you’re ready to fill them. › Carefully inspect each jar. Avoid ones that are cracked or have rims that aren’t perfectly intact (this will prevent the lid from sealing in an airtight manner). › Remember to only use brand-new lids. 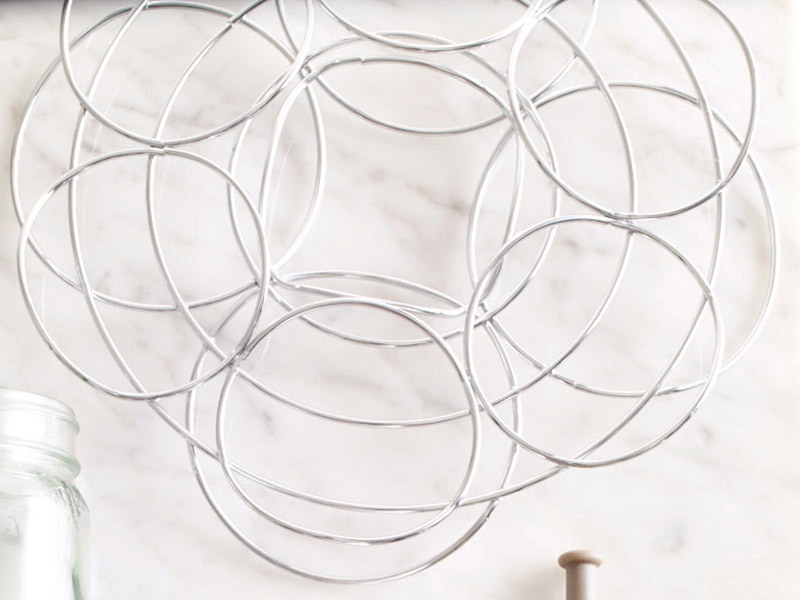 The metal rings, however, can be reused. › Place the lids in a small pot filled with water. Bring to a boil, then turn off the heat to allow the sealing compound to soften. Do not boil the lids as the sealing compound can become too soft and lose its effectiveness. › To release air bubbles that can be trapped inside the jar under the food, slide a wooden, plastic or rubber tool along the inside of the jar. Steer clear of metal utensils, such as a knife, that can scratch and damage the glass. Once you’ve released any trapped air bubbles, readjust the headspace (if required). › As you go, make sure to wipe the rim of the jars with a clean, damp cloth. Any residue could prevent the lid from sealing properly. 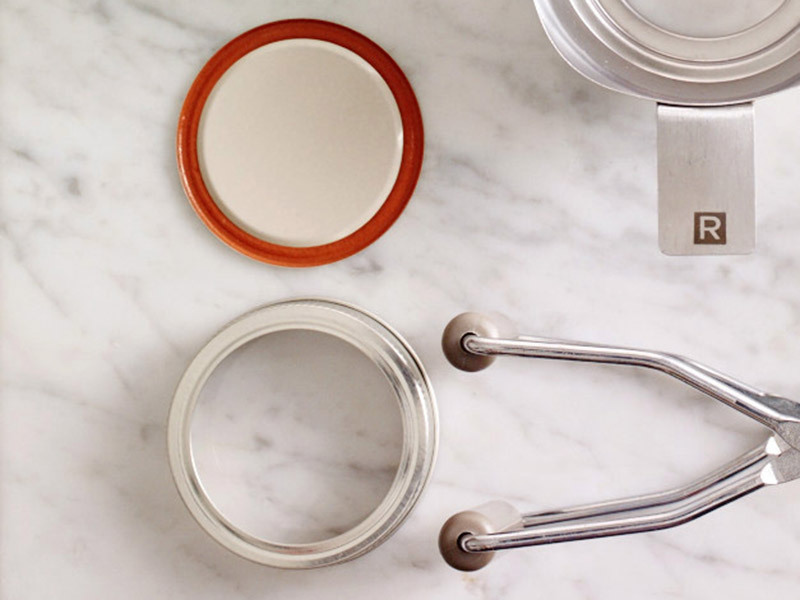 › Place a flat lid over the opening of your jar and screw on a metal ring. Tighten the ring only to the point of resistance, then tighten an additional eighth-turn or so. If the ring is not tightened enough, the contents of the jar could seep out during processing. If it is too tight, the air left in the headspace won’t be able to escape from the jar, which is critical when creating a vacuum seal. Depending on the acidity of the recipe, the procedure will be different. Appropriate for: Naturally acidic foods (pH lower than 4.6, see table) or recipes that have added vinegar, lemon juice or lime juice. › › Stand the jars up in the canning rack in the same pot used to warm them. Add water as required: The jars should be covered by at least 1 inch (2.5 cm). › › Cover with a lid and bring to a boil over high heat. › › Begin timing when the water is at a rolling boil. Maintain the boil for the entire processing time specified in the recipe. Appropriate for: Low-acid foods (pH > 4.6, see table) or recipes that have no added vinegar, lemon juice or lime juice. › Stand the jars up in the pressure canner rack. Adjust the water to the level recommended by the manufacturer. › Lock the lid and heat the unit over medium-high heat until steam starts to escape from the vent port. Allow the steam to escape for 10 minutes before closing the vent according to the instructions. › Continue to heat over medium-high heat until the pressure reaches 10 lb (69 kPa), which is the pressure required to attain a temperature of 240°F (116°C). Start timing the process once the canner has reached the right pressure. Adjust the burner heat to maintain the pressure throughout the processing. While some pressure canners require constant supervision, others can be left more or less unattended. › When the required processing time has elapsed, turn off the heat, leave the canner undisturbed and allow the pressure to fall on its own before unlocking the lid, a process that can take up to an hour. NOTE: 10 lb (69 kPa) is the pressure required if you live less than 300 metres (1,000 feet) above sea level. At higher altitudes, the required pressure is 15 lb (103 kPa), but the processing times remain the same. 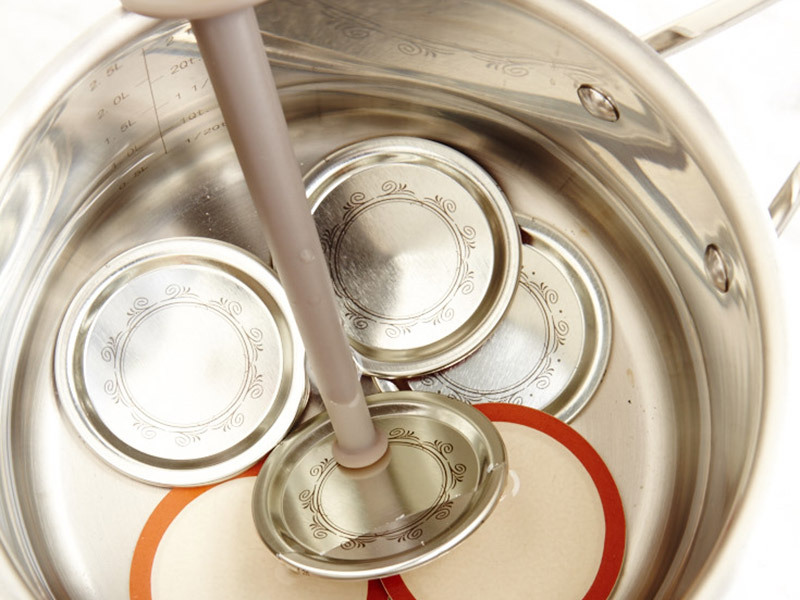 › Remove the jars from the pot or pressure canner and stand them up on a counter lined with two dishtowels (this will prevent a thermal shock between the hot jars and a cold surface). › Don’t tighten the rings, even if they’ve become loose. Moving them at this stage could dislodge the lid and break the vacuum seal as the sealing compound is still soft. › Let cool for 24 hours. 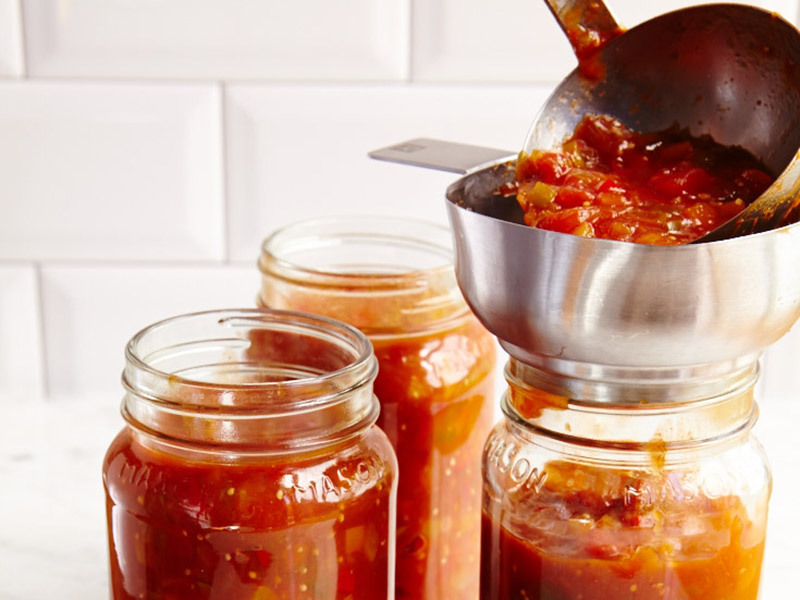 You’ll hear a pop every time a jar becomes sealed (the popping sound occurs when a lid is pulled downward by the change in pressure as the jar cools). › Check that every jar is well sealed. The lid should be curved downward and not spring up or down when pressed in the middle. Not sure? Unscrew the metal ring and lift the jar by holding onto the edge of the lid. If it’s well sealed, it won’t budge. › Ideally, keep your jars in a cool, dry place, where they can be stored safely as long as they are intact and properly sealed. Expect changes in colour, texture and flavour as the product ages, so it is best to consume it within a year. We took to social media and asked you to hit us with your most cunning canning questions. From lid techniques to explosion avoidance, here are all the answers you need! › I’ve heard about glass jars exploding. How can I prevent this? Wide differences in temperature can cause thermal shock to occur, which can result in jars breaking. Never fill a cold jar with a boiling recipe, or place a hot jar on a cold counter! Heating jars in the oven can also cause them to break. Using a rack is also recommended to prevent jars from smashing against the bottom of the pot during the heating process. › Can the oven replace a pressure canner to sterilize low-acid foods? No. To destroy spores that cause botulism, the internal temperature of the food must reach 240°F (116°C). Under normal conditions, no matter what temperature your oven is set to, the temperature of the food and liquid inside the jar will never exceed 212°F (100°C). To hit the 240°F (116°C) mark, a pressure canner is the only way to go. › How can I safely preserve meat sauce? The only proven safe method is using a pressure canner. The addition of meat (whose pH is higher than 6) to tomato yields an overall pH level that’s definitely higher than 4.6, a level at which dangerous botulinum spores could develop. Can I skip the heat treatment step after filling my jars? Some do, but it’s not recommended. If you pour warm food into a clean sterilized jar and close it quickly, the seal that forms may not be airtight—even if you hear the pop. What’s more, there’s no way to guarantee that spoilage causing micro-organisms did not contaminate the recipe during the filling step. Why risk it? Although cases of food poisoning caused by homemade canned food are rare, they can occur if proper canning techniques are not followed. The worst-case scenario is botulism, a very serious type of food poisoning. The bacterium that causes botulism can be found just about anywhere in nature in the form of harmless spores. However, under certain conditions, the spores can develop into dangerous bacteria. This happens specifically in low-acid foods (pH > 4.6) stored in airtight containers (without oxygen) at room temperature. In other words: It could happen in improperly canned low-acid food! Unlike bacteria, yeast or mould, spores are resistant to boiling water (212°F/100°C). To destroy them, a higher temperature of 240°F (116°C)—that can only be achieved in a pressure canner—is required. This is why homemade canned foods that are low in acid must be sterilized in a pressure canner. The good news? Naturally acidic foods (like fruits and jams) or recipes where vinegar, lime or lemon juice have been added (ketchups, salsas, pickles) are no-risk as spores will not develop in an acidic environment. So canning salsa, for example, in a boiling water bath is perfectly safe. › What do I do if the lid didn’t “pop”? Twenty-four hours have elapsed and the lid still springs up and down when pressed in the middle? It’s not properly sealed. 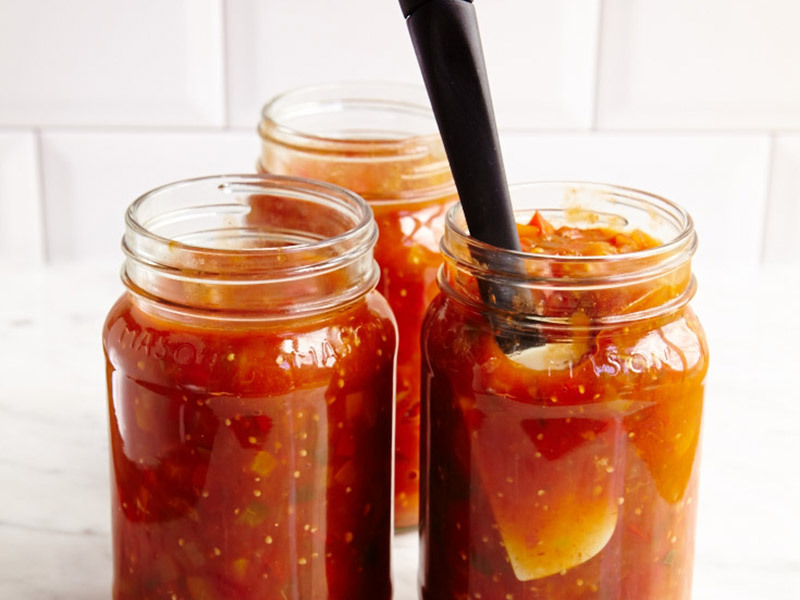 Place the jar in the fridge and consume within the next few days, store it in the freezer (if appropriate) or start the fill/heat-processing steps over again with a new lid. It’s important to note that a second heat-processing can affect quality, especially with pressure treated recipes. › Can jars be washed in the dishwasher? Yes. 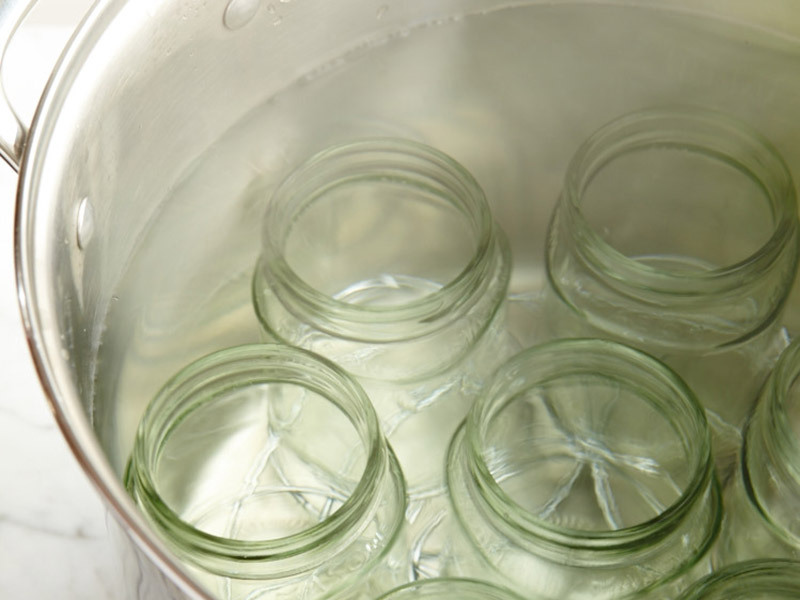 Cut down on time by using the dishwasher to clean your jars and keep them warm before filling. But a dishwasher cannot be used to perform the final heat-processing step after filling: You really need to use either a boiling-water bath or a pressure canner. › Is it possible to reduce the amount of sugar in fruit preserves? Absolutely! And fruit can easily be canned in water without a problem—the amount of sugar is entirely at your discretion. The final heat-processing step destroys micro-organisms in the preserves and keeps them safe as long as the jar is sealed. However it’s important to remember that a low-sugar preserve won’t keep for very long once opened (mould can appear as soon as two weeks in) because sugar is what stops the development of contaminating micro-organisms. 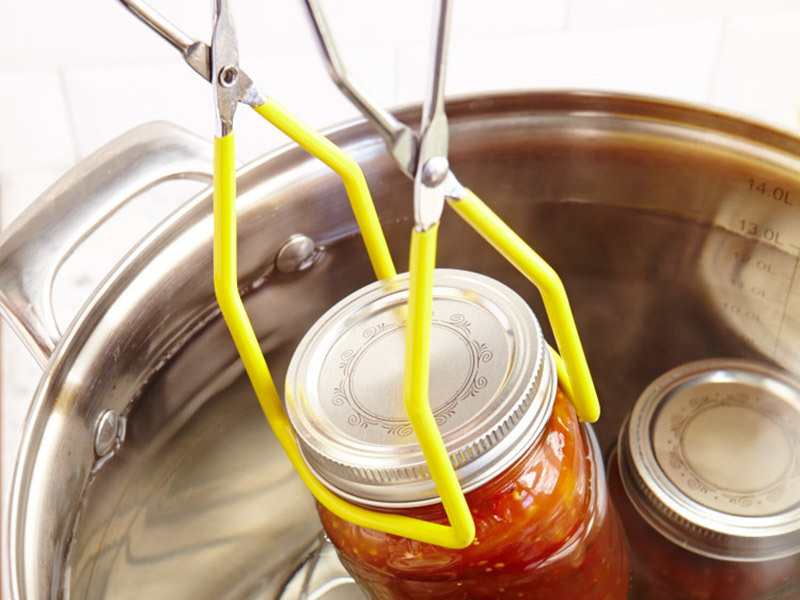 › Can a pressure canner be used on a glass/ceramic cooktop? Some pressure canner manufacturers warn against it, so check the box or instruction manual to be sure. Because these types of cooktops take time to heat up and cool down, maintaining the required pressure could prove difficult. › What is the difference between regular and pickling salt? Pickling salt (also called canning or preserving salt) is 100% pure. Unlike table salt, it contains no iodine or other additives that could discolour foods or make the brine cloudy.